North Lands Creative is delighted to share Imagining Sustainable Glass Network Europe (ISGNE) project news of our recipient funding from the support to European Cooperation Projects under the Creative Europe Programme. 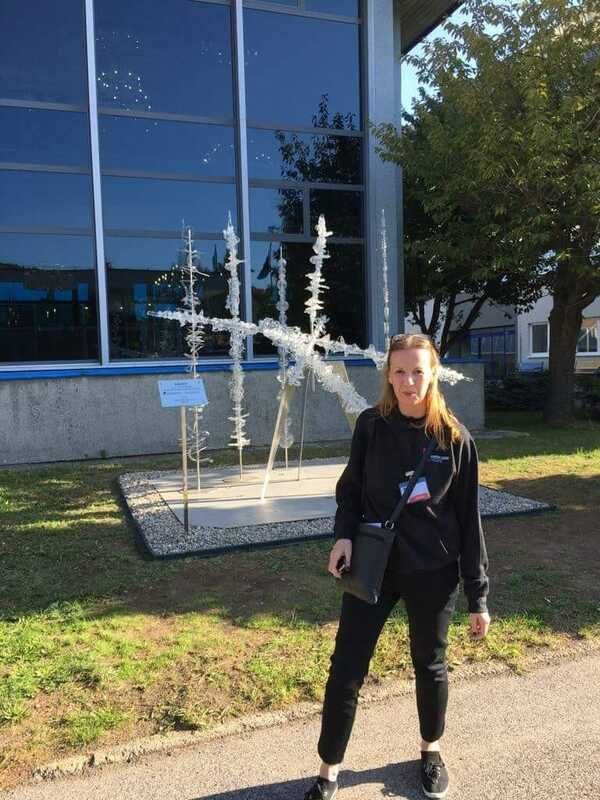 Ahead of our EACEA kick off meeting in Brussels next week, we can’t think of a better way to start our ISGNE networking visits than our first advocacy visit to the International Glass Symposium (IGS) in the town of Nový Bor in the Czech Republic. The symposium and the town of Nový Bor has been connected together inseparably since 1982, when for the first time in history, company Crystalex a.s. Nový Bor invited artists and designers from all over the world to its workshops to meet and to give shape to their designs and artistic ideas with the help of local glass-makers. The International Glass Symposium has been held every three years since. An award from the Creative Europe highly prestigious fund are sought by artists and organisations across Europe, so we are hugely proud that the grant has enabled North Lands Creative to step out and to welcome new communities of interest into our programme and to widen interaction with both glass audiences and non-arts audiences to become immersed in our four year programme plan. ‘Unity’ is also a dominant theme that will run through ISGNE – the importance of collaborative threads that connect the glass community. The time spent at IGS will provide partly a reflection on our own annual forum event the Glass Nexus Forum but also to harness the great energy summoned when creative forces and minds come together over an intensive period. Symposiums are essential vehicles to ignite long lasting partnerships and for our organisation an opportunity to re-connect on plans initiated at our forum earlier this year. IGS year’s theme, is a call to action to not only envision the future, but to make it so. A huge congratulations to the IGS committee hard work and dedication and a special thank you to Milan Hlaveš for his kind reciprocal invitation after his presentation in Lybster during August to share the vision of IGS and Czech’s glass future. In the spirit of the Creative Europe overarching theme North Lands Creative is excited to look ahead and actively pursue a future that is inclusive, sustainable, and in which with our partners, Berlin Glas e.V., Glass Point (Ltd. Stikla maja) and National College of Art and Design the medium of glass is celebrated and woven throughout all corners of Europe and between. We hope the project’s connected theme on intangible culture will inspire thoughtful discussion and impactful action. Anyone interested in finding out more can contact Karen Phillips, Director, North Lands Creative over the weekend at IGS or register an interest with Shaie Macdonald, our newly appointed ISGNE Project Manager.